Bishop Amat released this statement: The Bishop Amat Family welcomes Mr. Joseph Hoggatt as teacher and Head Varsity Baseball Coach. Mr. Hoggatt comes to Bishop Amat as an experienced and successful Division I high school varsity baseball coach (from Canyon High School) with thirteen consecutive CIF playoff appearances, six league championships, and two trips to CIF finals. Thirteen of Coach Hoggatt’s student/athletes have gone on to play at the Division I college level. In addition to his coaching responsibilities, Mr. Hoggatt will serve as a full-time member of the faculty. As expected, Damien High School hired former Bishop Amat coach Andy Nieto to take over its baseball program on Thursday. Nieto, one of the winningest coaches in Southern California over the last decade, resigned less than a week after earning his fourth championship in eight years at Bishop Amat. The Lancers ended the season with ten straight victories culminating with a come-from-behind 4-3 victory over top-seed Palm Desert for the CIF-SS Division 3 title at Dodger Stadium in June. Nieto said he was leaving to pursue other opportunities, and soon after he announced he was leaving, Damien fired coach Al Leyva, prompting speculation that Damien would target Nieto. Damien’s principal Merritt Hemenway was the principal at Bishop Amat when it hired Nieto, and the two remained close. Leyva was 107-61 in six seasons at Damien, but never won a league championship. His best year was his first in 2009 when Damien finished 21-9 and advanced to the CIF-SS Division 2 semifinals. Damien was 17-10 this past season, finished in a tie for third in the Sierra League and was ousted in the first round of the playoffs. Nieto thinks he can take Damien to the next level. “I have always had the utmost respect for Damien, they never lacked talent or ability,” Nieto said. “For me this place has endless possibilities. When you combine the athletic facilities and resources, Damien is a sleeping giant. 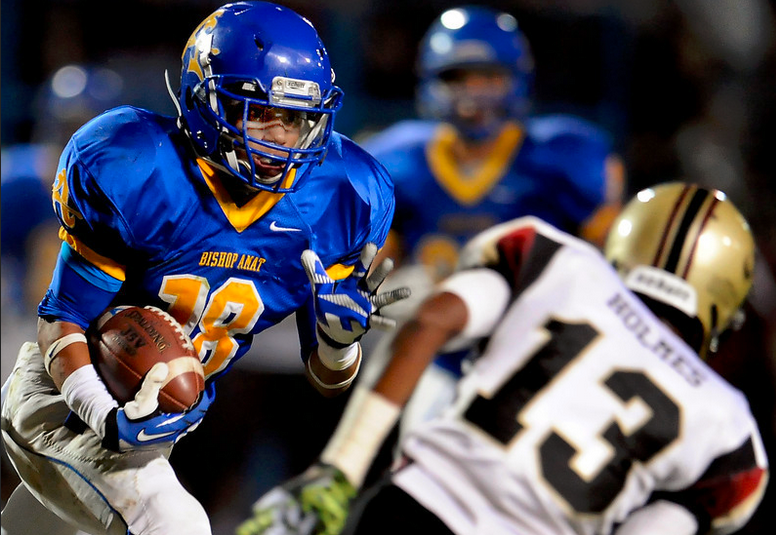 Nieto won back-to-back titles when he first arrived at Bishop Amat in 2007 and ‘08, and added another banner in 2011 to go with seven consecutive Del Rey League championships. Nieto finishes with a career record of 196-55-1 at Bishop Amat and in 2011 the Lancers finished the season ranked sixth nationally and won the prestigious National Classic. Nieto arrived at Bishop Amat with huge expectations after previously serving as an assistant coach at USC from 1997-2006. Nieto won a national championship with the Trojans in 1998 and went to the NCAA college World Series in Omaha three times with the Trojans in 1998, 2000 and 2001. Nieto also served as an assistant baseball coach at Glendale community college in 1996 and was a recruiting coordinator for East Los Angeles College in 1995. Bishop Amat was Nieto’s second high school head coaching job, having coached at Cantwell Sacred Heart from 1991-94 where he led the Cardinals to three league titles with a 62-35 overall record. Nieto earned his bachelor’s degree in physical education from USC in 1991 and master’s degree from Azusa Pacific and is a 1982 graduate of Schurr High. The Chino Hills basketball community grieved Wednesday for Nnamdi Okongwu, a member of the boys team that went to the CIF Southern Section Open Division championship game in March and a Pac-12 prospect. 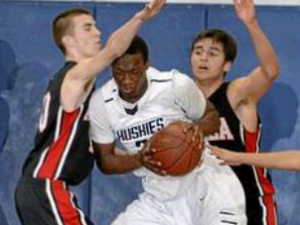 Okongwu was critically injured in a skateboarding accident Tuesday. Conflicting reports surfaced as to the player’s condition Wednesday evening and early Thursday morning. Three television stations and another print publication cited a school official who had confirmed that the player had passed away. Okongwu was at Arrowhead Regional Medical Center in Colton. Details of the accident were not available. Baik out of town, so was assistant coach Don Grant. Another assistant, Mel Simms, found out about the accident from a text his daughter received. Mario Gomez has been tabbed as the new head football coach at Diamond Ranch High School. He replaces Roddy Layton, who headed the Panthers program for eight years. Gomez, 31, had been a mainstay on Layton’s staff, joining it in 2006 as head junior varsity coach, only to be elevated to assistant varsity coach two weeks later. He was part of a staff that took the team to CIF championship games in 2008 and 2009. He had been the team’s defensive coordinator the last three years. Gomez, who also teaches Spanish at the school, took the team through spring and summer drills and has retained many of the assistants so he expects the transition to be easy. I’m back … so tell me what I missed while I was gone …. I thought for sure with two weeks away from this place Andy Nieto would be at Damien by now and Bishop Amat would already have replaced Nieto at Amat? I also thought the Lakers would have added at least one free agent but it’s like time stood still. Or maybe a million things happened and I was so far out of sight, out of mind that I need some of you to get me up to speed on what’s happening around the Valley, what rumors are out there and what stories need looking into??? Best news I heard while gone is that we struck a deal with MaxPreps to provide localized standings, schedules, leaders and updated scores on our websites. Best part is our website should provide daily schedules and results through MaxPreps and we hope everything comes together by the fall. Other than that, time to make some phone calls and get back in the groove, football starts in just over a month. UPDATE: Source confirms Bishop Amat coach Andy Nieto HAS interviewed at Damien this week. UPDATE: Bishop Amat AD Michael Manzo said he expects the Lancers to announce its next baseball coach next week. UPDATE: San Dimas has hired Northview graduate Omar Diaz as its next wrestling coach. Saints also looking for a boys and girls varsity soccer coach. UPDATE: Los Altos baseball has hired assistant coach Hector Gutierrez to take over the program following last month’s resignation of Andrew Formano. RUMOR SPECULATION: Despite an email and tweet telling me that super Northview baseball freshman Jacob Amaya is transferring to South Hills, Northview coach Dan Roddy said there is no truth to it. He says he’s heard the rumor too, but has been told by Amaya’s family he isn’t going anywhere. Amaya is already committed to Cal State Fullerton. South Hills already has benefited by getting a transfer from Bishop Amat, Christian Moya. Chino Hills BB coach Kyle Billingsley via twitter confirming he has been let go. Was only coach the school had ever had. More to come! What’s in a league name? OK, I’m confused…Bishop Amat is now in the Mission League, and St. Francis is in the Serra League…No Amat is still in the Pac-5, but because Serra moved up to the league Amat and Alemany and the rest called home, officials thought it wasn’t right, so they gave the league the Mission name, and transferred the “old Mission” to the Serra. We heard it might be the Angelus League, but have not heard any official word. From a historical perspective, I don’t see any reason why they just couldn’t call the “old Serra” the Angelus League, which has the tradition of being a D-1 league, and then keep the Mission League, which has tradition as a D-3/4 league.